Aimer to Attend Anime Expo + Music Released Worldwide | VKH Press – J-Rock & Visual Kei Coverage Worldwide! Even in Japan, tickets to her shows are SOLD OUT in a short time. Considering the fact that Anime Expo will be her first overseas show, it will be a premium experience to watch her perform! With the awaited soon to be released album, we cannot take our eyes off this new rising star! Special Talk Session and Live Drawing with Ayako Kawasumi, Takahiro Miura, Hikaru Kondo, Atsuhiro Iwakami, and Tomonori Sudo. To learn more about them, see below! 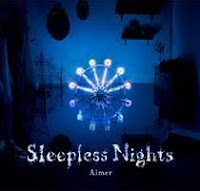 Since her debut single in 2011 Rokutosei no Yoru, singer Aimer has won rave reviews with her fragile, haunting voice, and tranquil yet expressive worldview. 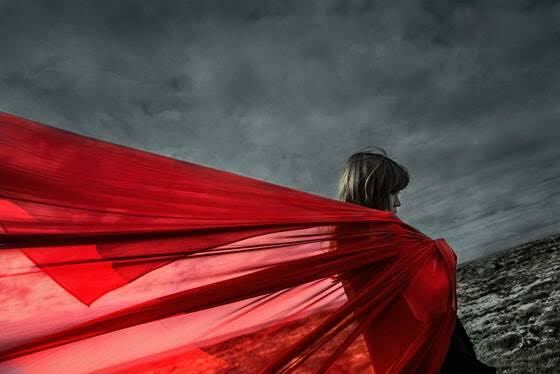 At the tender age of 15, Aimer had a throat condition that had once made her give up her musical activities. However, after a few years, such an idiosyncratic experience turned out to give her a one-of-a-kind singing voice, which created a silent buzz and led to the resuming of her musical activities in 2011 as a joint force with “agehasprings”, a group of creators who work with top-notch singers such as YUKI and Mika Nakashima to name a few. In May that year, she released a cover album and the lead track, which was her rendition of Lady Gaga’s “Poker Face”, debuted at #1 on the iTunes Store Jazz chart. Then in September, she went on to make her major debut from DefSTAR Records with single Rokutosei no Yoru, following with her debut album Sleepless Nights, including the smash-hit songs "Re:pray " for "BLEACH" and "Anata ni Deawanakereba ~ Kasetsu Toka" for "Natsuyuki Rendezvous" by receiving high acclaims. Hitting the national charts, her 6th single, StarRingChild marked 3rd in the Oricon weekly chart, and her 2nd album Midnight Sun also appeared in the Top 10 by attracting the attentions with the theme songs of "Mobile Suit Gundam UC", "RE:I AM" and "StarRingChild." 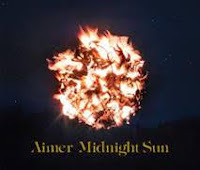 In 2014 AimerIn 2014 Aimer released her 2nd album, Midnight Sun and mini-album Dareka, Umi-wo (collaboration with Yoko Sugano etc. 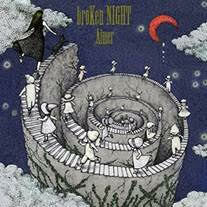 ), an ending theme to "Zankyo no Terror," and marked her 7th single, broken NIGHT / hollow wORlD, which has a tie-in to Fate/hollow ataraxia, in the Oricon CD single weekly chart’s top 10. A rising star at the moment, her 2015 will be more busy and full of attention, as she performed at the Shibuya Kokaido (Shibuya Public Hall) and other venues in her nationwide tour Maiden Voyage, in which the tickets to all her shows sold out instantly. Recently she has shared the stage with ONE OK ROCK, and has been complimented as “one of the most beloved artists” by vocalist Taka. The new 8th single features "Brave Shine," the title track, which is the opening song for the 2nd season of TV animation, "Fate/stay night (Unlimited Blade Works)". Also included are the acoustic version of "Kimi wo Matsu" (the theme song for TV special drama "Kuroha –Kisou no Josei Sousakan" and live recording of “Midnight Sun” from her first solo concert. The songs, which she almost “talks” into your ears with her husky voice, have a melancholy atmosphere.